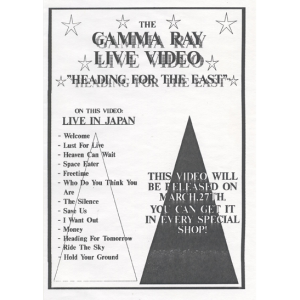 Promo Sheet For The Heading For The East Video. 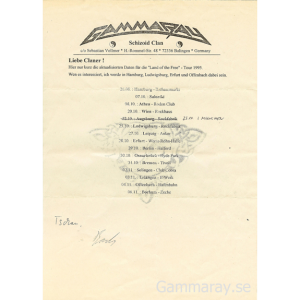 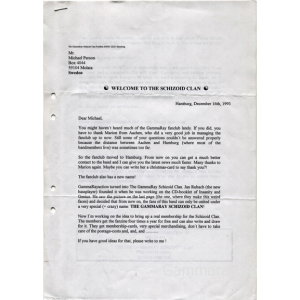 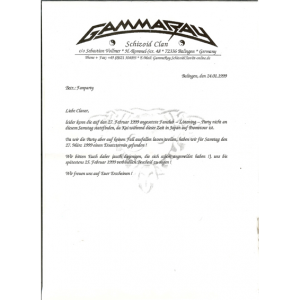 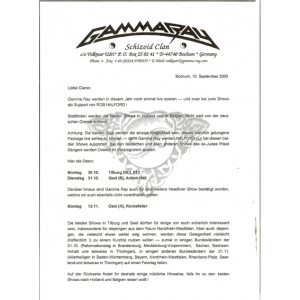 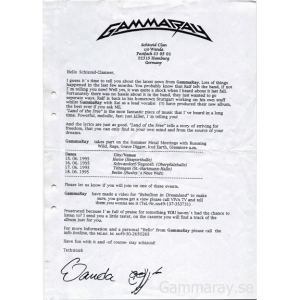 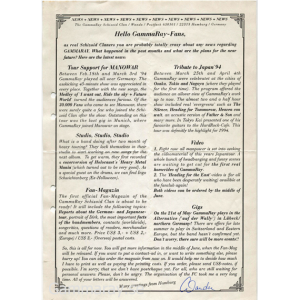 Welcomme To The Gamma Ray Schizoid Clan 1993 Letter. 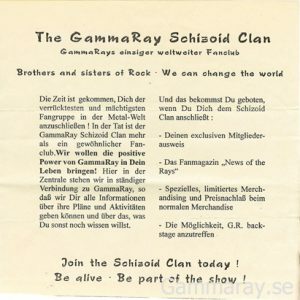 Application Form To The Schizoid Clan. 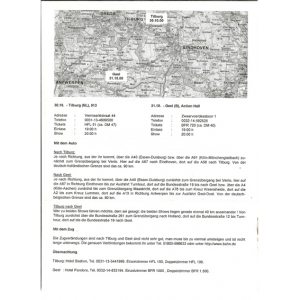 Land Of The Free Tour 95 Info. 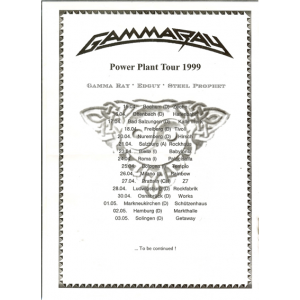 New Ep Release Info – 1996. 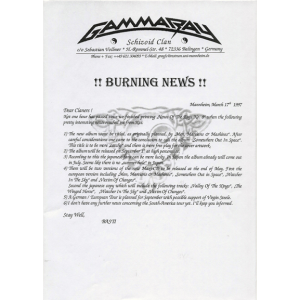 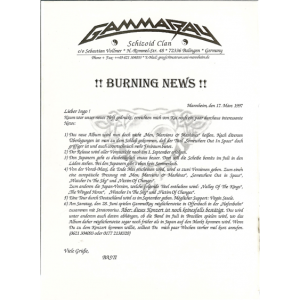 Burning News – 17/3 – 1997. 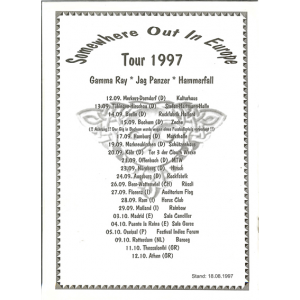 Somewhere Out in Europe – Tour 1997 Info. 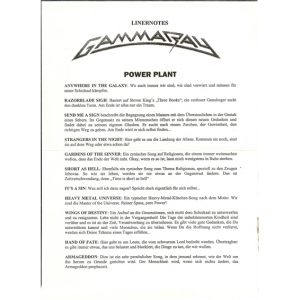 Information About The Songs On The PowerPlant Record. 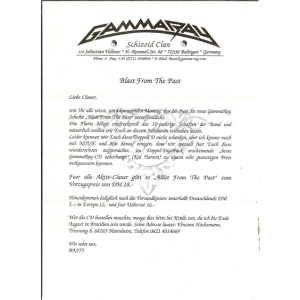 Blast From The Past Info.